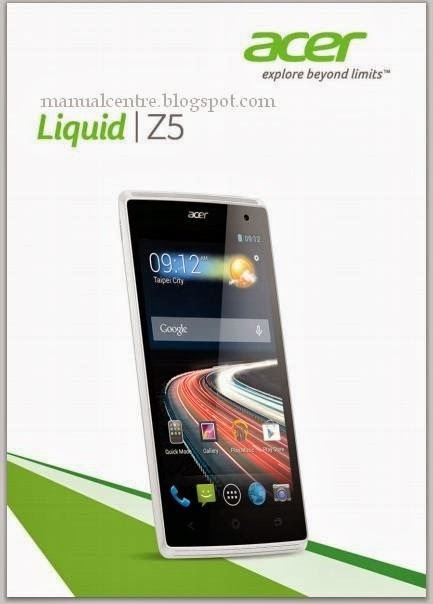 The Acer Liquid Z5 Manual is available now. It comes in english language. For owner of this phone, you can download the manual directly at acer.com. 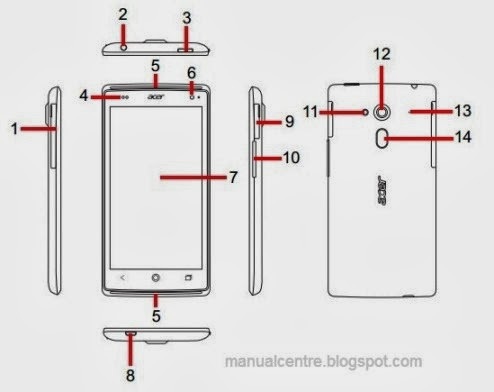 Ok, here we want to share about the Acer Liquid Z5 user guide review. The manual contains 65 pages with file size of 13.4 MB. Some important information such as about setting up guide on page 5 like Unpacking your smartphone, Getting to know your smartphone, tutorial Installing a SIM or microSD card, turning on for the first time, locking phone, using the touchscreen, Acer shortcuts, Acer float, AcerRAPID, managing your contacts, phone calls, using browsing the internet, setting up email, using maps, latitude, Google play, using bluetooth, using wi-fi. Then about using camera for taking photo, shooting a video, using FM radio, restarting phone, restoring to factory settings, tutorial inserting a microSD card, and troubleshooting. You can restart (reboot) your phone if you find apps are not responding. Press and hold the Power button until you get the phone options menu. If you wish to share your mobile internet connection with a computer, you can connect your phone to a PC using the supplied USB cable. Plug the USB sync cable into the micro USB connector on your smartphone. Plug the USB client connector into an available USB port on your computer. Open the Application menu and then tap Settings > More.. > Tethering & portable hotspot > USB tethering. You can turn your smartphone into a portable Wi-Fi hotspot to share your mobile internet connection with up to eight clients. Open the Application menu and then tap Settings > More... > Tethering & portable hotspot. Turn Wi-Fi hotspot ON.Tap Wi-Fi hotspot > Set up Wi-Fi hotspot. Set the Network SSID and adjust security between None, WPA PSK, and WPA2 PSK. Tap Save to finish. Your phone will automatically detect your carrier/network settings when you insert a new SIM card. However, you may prefer to manually select a network. This may be a good idea when roaming. Open the Application menu and tap Settings > More... > Mobile networks > Network operators and select which SIM card to use.